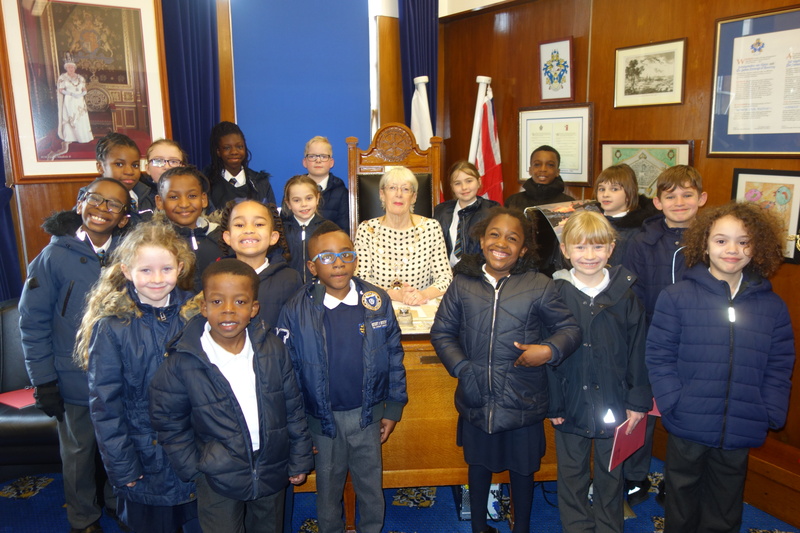 On Wednesday, 14th March, our Eco Schools team visited the Mayor at the Town Hall. 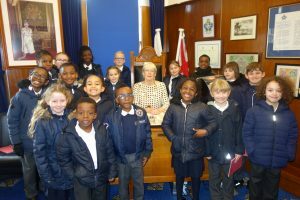 They learnt about her role as First Citizen of Havering and how the Council are ensuring that the local environment is well kept and constantly improved. They also had opportunities to try on the Mayor’s robes and carry the ceremonial Mace, as well as having refreshments in the Mayor’s Parlour. They all really enjoyed their visit.